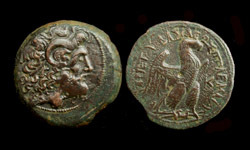 Rev/ BASILEWS PTOLEMAIOU EUERGETOU; eagle, wings spread, standing right, on thunderbolt; K in r. field. 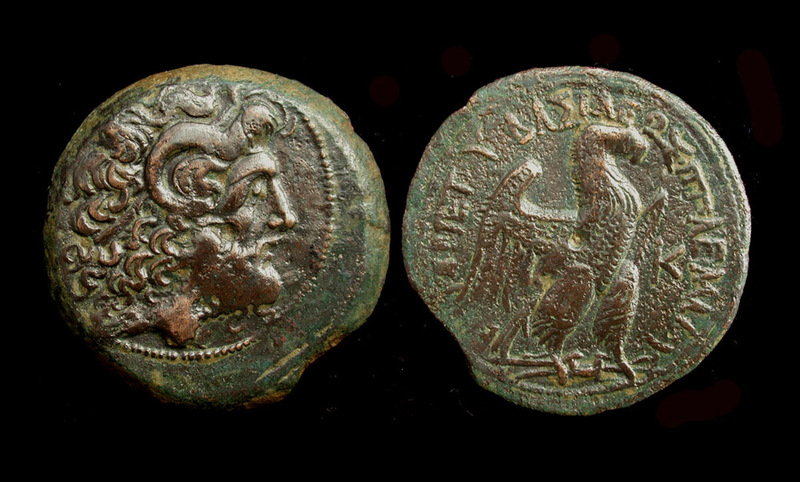 Seller's Note/ This very rare coin (not listed on Wildwinds) belongs to an interesting class of bronzes that include the epithet Eurgetes in their legend, assuring the attribution to Ptolemy VIII. O. Mørkholm believed that bronzes with this legend were of an uncertain Cypriotic mint (see SNG Cop 651-657). But T.V. 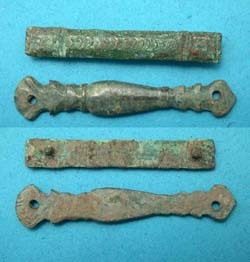 Buttery published a number of examples found at the Cyrene (northen coast of modern Libya) excavations, proving that they originated there.